I’ve purchased the Standard license but I need the PSD files. Novice Novice tutorials require no prior knowledge of any specific web programming language. This happens sometimes when you buy the WordPress theme in a hurry, or you realize that after buying the Standard package you also need the PSD files to make some design changes. If you don't see the UPGRADE button in your account that means that the theme doesn't come with the developer license and the PSD files are not available for that theme. An example of such theme will be our The Core WordPress Theme. The Core sells only under a standard license and the PSD files are not available because most of the websites included in The Core were made directly in the visual builder of the theme and we don't have the PSD files for the pages. You'll be redirected to the shopping cart where you'll only pay the difference between the Standard and Developer licenses. After the payment clears you’ll be able to download the PSD files from your account. 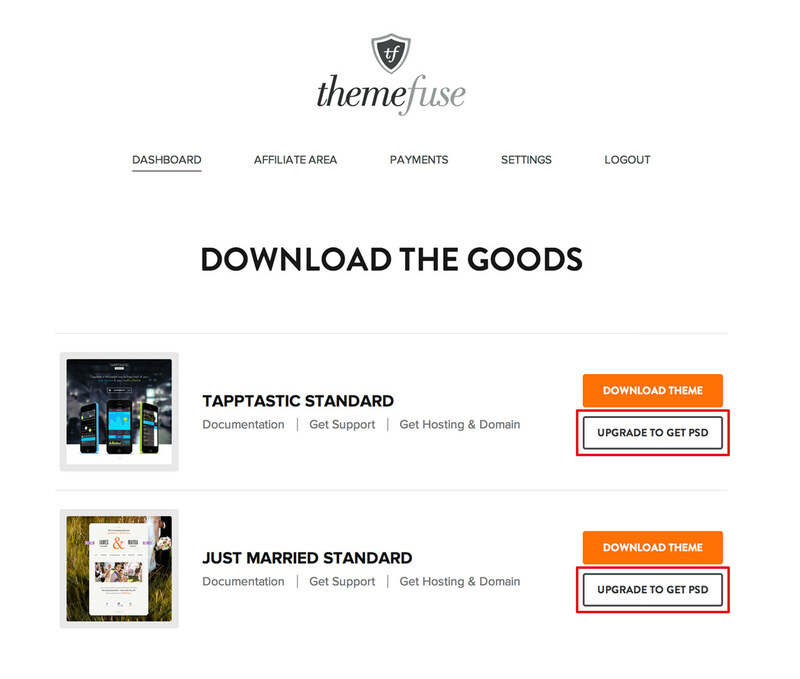 Upgrading from a Standard to a Developer license will also get you a free theme (Standard license) of your choice. All our Developer versions purchases come with a free bonus theme. What’s the difference between Standard and Developer license? Do you have a club based subscription available?